Just a few years after launching historically low-cost flights between Europe and America’s major cities with Boeing 787 Dreamliner aircraft, low-cost carrier Norwegian Air Shuttle set its sights on a new market to conquer. Noticing the lack of low-cost options from the forgotten airports located away from major cities, Norwegian decided to try its hand and give those airports a direct link to Europe’s major cities. Starting with the three American launch cities of Newburgh, Hartford and Providence, each located outside of major metropolis’ and urban areas, Norwegian started direct service to Ireland, Northern Ireland, Scotland, and Norway. While some of those airports already had links to Europe, none of those routes compared to the scale of Norwegian’s routes or the cost at which the flights are offered. The cities of Dublin, Shannon, Cork, Belfast, Edinburgh, and Bergen were chosen as Norwegian’s European termini for the new flights. While one may be able to fly direct from Boston or New York, the two-metropolis’ surrounding Newburgh, Hartford and Providence, to Dublin, Shannon or Edinburgh, nonstop service to the remaining cities was unheard of. And the kicker: base roundtrip fares were, and continue to be on some routes, less than $300. 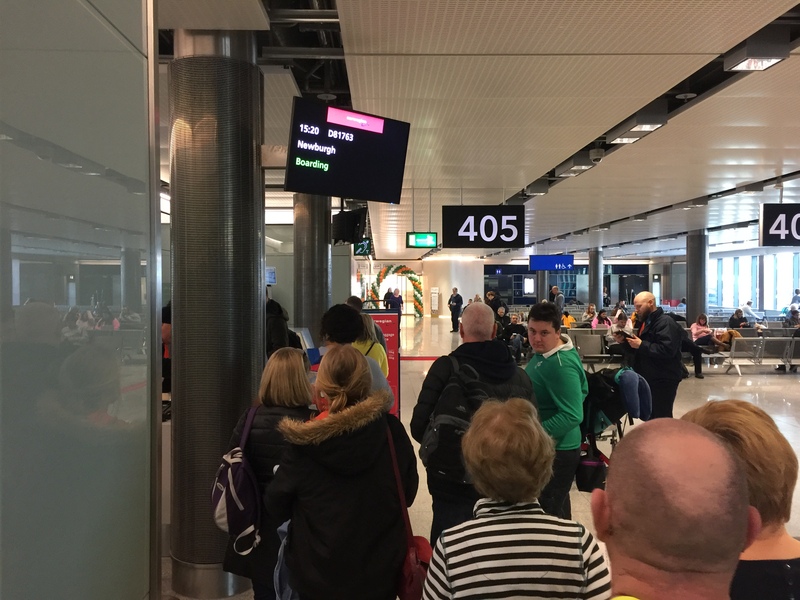 Typically, passengers flying to off-the-beaten-path destinations such as Belfast, Cork or Bergen would have to pay a premium and would require a connection at a hub airport. 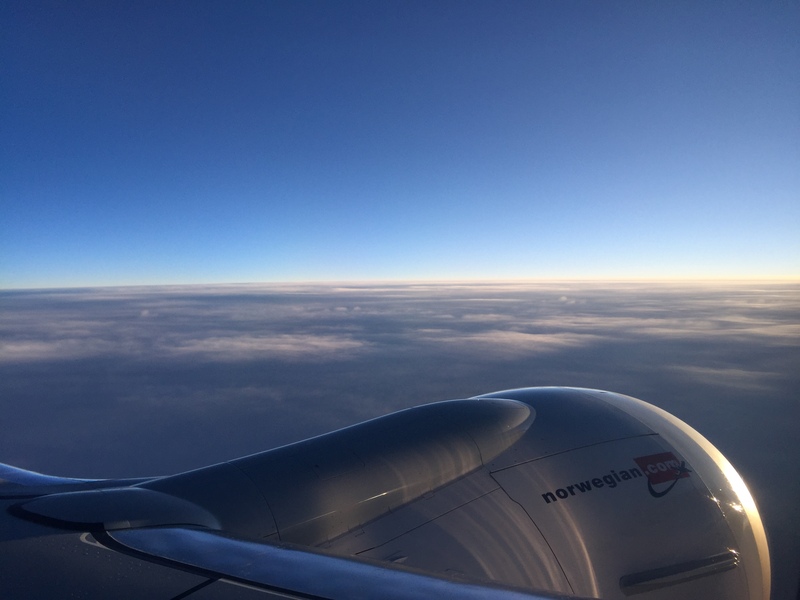 However, Norwegian’s point-to-point transatlantic flights allow passengers to fly nonstop to these airports without paying the premium one could expect on legacy carriers. So, how is Norwegian able to fly between these less popular cities while also maintaining a profitable bottom line? Simple, through the combination of a low-cost business model based and utilizing long-range fuel-efficient aircraft with low operating costs on a point-to-point route network. The airline’s aircraft of choice: the Boeing 737 MAX 8. Most airlines today operate route networks based on a hub-and-spoke system. For those unfamiliar with the system, it’s when an airline consolidates operations in a select few airports in a geographic area, typically in major cities, with most of their flights arriving or departing at those hub airports. While this is good for people traveling between major cities, often times people traveling to smaller cities will have to endure a connection. Airlines will also invest heavily in these airports, as they’re investing in their homes. The hub-and-spoke system, while profitable and viable for the many airlines that utilize it, does restrict an airline’s operations. For example, most hub-and-spoke airlines don’t experiment with point-to-point routes, due to the potential lack of demand for any given route. 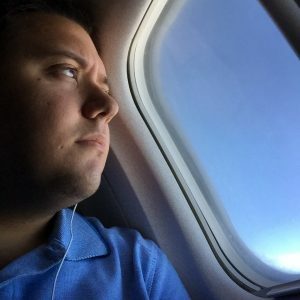 Operating nonstop flights between two non-hub cities means that connecting options are limited, which major airlines rely on. 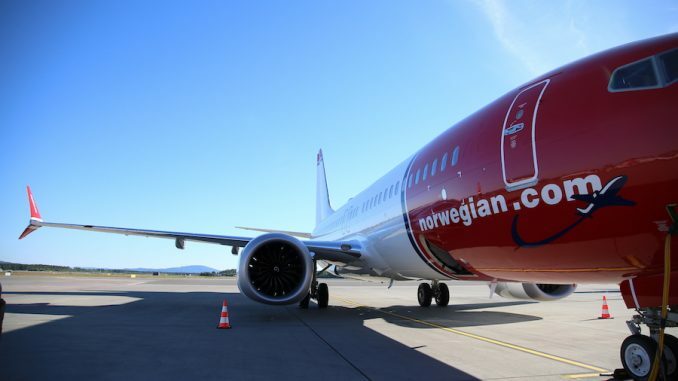 While Norwegian operates based on a hub-and-spoke system on its intra-Europe and Long Haul division, it operates based on a point-to-point model for its transatlantic MAX flights. Point-to-Point gives Norwegian the freedom to do two things: operate nonstop flights between unorthodox destinations and allow for greater flexibility in a route network. 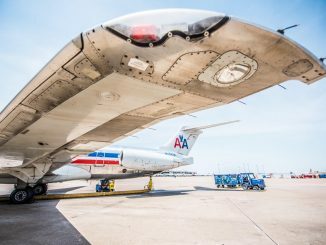 When an airline, especially a new airline, invests in a hub, it’s a big commitment. If the airline chooses wrong, it can potentially have fatal effects for the airline. For example, if Norwegian chose Dublin as its European hub and some of its routes weren’t operating as profitable as expected, it could discontinue that route, but it would most likely find a new route from Dublin to operate. With point-to-point, airlines aren’t restricted to one hub city for all their routes. By choosing this system, Norwegian was able to select all the routes that it knew would be profitable for its new service without being restricted by hubs. This is seen by the route network from the three American launch cities. For example, Cork is only served from Providence and Bergen is only served from Newburgh. Some may say that Newburgh, Providence, and Hartford are the airline’s hubs and it’s a modified hub-and-spoke system. 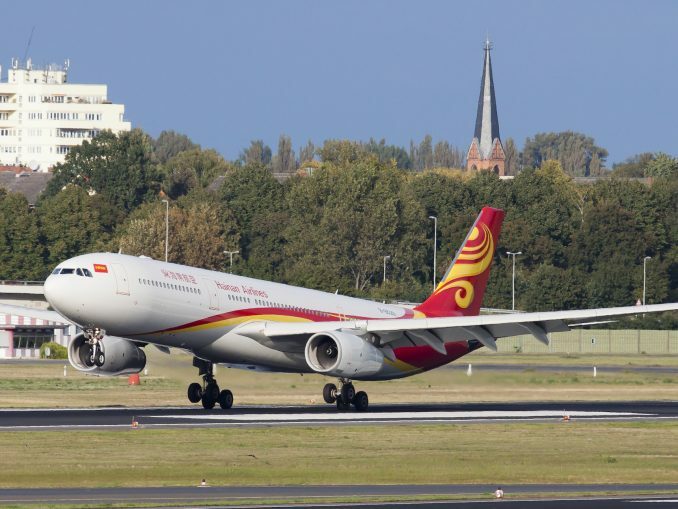 However, a general characteristic of a hub-and-spoke system is flights between an airline’s hub. Norwegian Air International doesn’t fly between its American cities, nor most of its European counterparts, or offer many connecting flights through those cites. 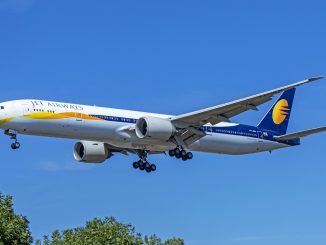 While the point-to-point system doesn’t fare well for major carriers, it has a track record of working extremely well with low-cost carriers. In the United States, ultra-low-cost carrier Frontier Airlines has seen success with its point-to-point system. Norwegian has also shown that the point-to-point system is more efficient, as the airline has already dropped the Hartford to Edinburgh route, Hartford’s only Norwegian route, due to unprofitability and an issue with Scotland’s tax scheme. Instead of finding a new destination for Hartford or Edinburgh, Norwegian decided to double down on its most popular route, Newburgh to Dublin. The flexibility of the point-to-point system has been beneficial to low-cost airlines, allowing them to handpick and serve popular and profitable routes. However, there is a human cost to this system, as when an airline can simply pack up and leave when the bottom line dictates, the effects on an airport or locality in the form of jobs, taxes, and tourism can be devastating. It’s something smaller airports know all too much about, unfortunately. So why did Norwegian choose these three cities to start service instead of doubling down at airports like New York’s JFK or Boston’s Logan, as these are the markets that they are targeting? The answer is simple: costs. Flying into smaller airports that are hungry for new service, especially international service, saves an airline a lot of money. Plus, the airports are close enough to major cities like New York and Boston where it can still target those markets effectively. Whether it be in the form of tax incentives by the state or locality, increased jobs at the airport or even the sales tax on items bought in the airport gift shop, new service can do a lot of good for any airport, but especially small airports in particular. Numerous airports in the Northeast wanted to attract Norwegian, all offering great deals on gate leases, taxes, and others. However, Norwegian chose Newburgh, Providence and Hartford, which no doubt offered the same. 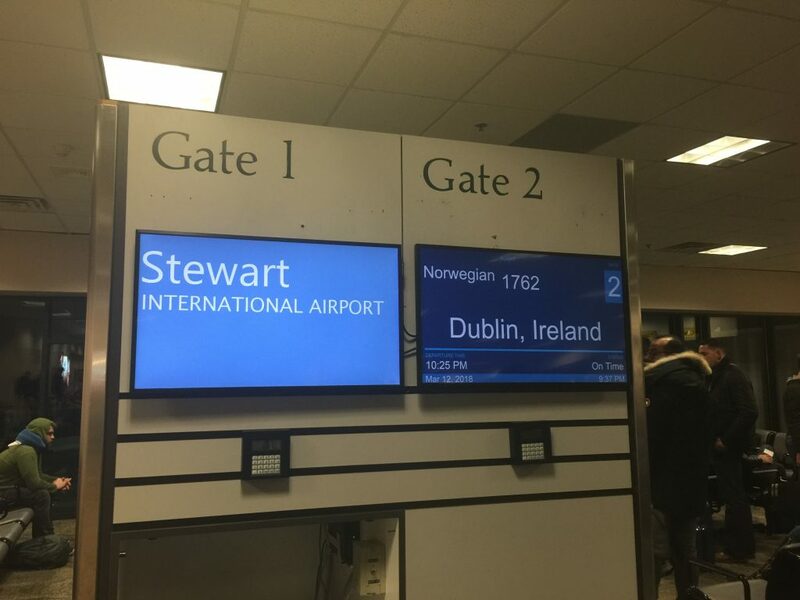 Just 60 miles up the New York Thruway from New York City, Newburgh’s Stewart International Airport is one of Norwegian’s most popular American gateways. Sitting on the Hudson River and at the crossroads of two major interstates, this small commercial airport is a prime location for Norwegian and doubles as a New York Air National Guard base with an unusually large runway. For most of its existence, it has always been the spoke in the hub-and-spoke system. Owned by the Port Authority of New York and New Jersey, a handful of airlines serve this airport from their hub cities, including Allegiant, Delta, JetBlue and American. It’s sandwiched in by New York to the south, Albany to the North, Hartford to the East, all with more commercial service than Stewart, leaving the airport out in the cold until now. However, it would serve as the perfect location for Norwegian to launch its transatlantic flights from. Its strategic location and Norwegian’s unique service allows Newburgh to attract passengers from all over New York state, Northern New Jersey, Vermont, Western Connecticut and Western Massachusetts. For most people in rural areas, it’s cheaper for them to drive to Newburgh than to fly a connecting flight from their local airports. Geography would play a large role in choosing Newburgh over Long Island MacArthur Airport or Westchester County Airport. Newburgh is centrally located and can attract more people, as people coming from the North, West or East wouldn’t have to go through New York City to get to the airport, as they would at MacArthur or Westchester County. Both those airports have their backs against water, limiting their market, whereas Newburgh is inland. There’s also a new bus service operated by Coach USA buses dubbed the “Stewart Express” that brings passengers to and from New York City from the airport. The $40 roundtrip service is Norwegian’s way of classifying Stewart Airport as New York-Stewart, which is how its advertised on their website. The buses are tailored to Norwegian’s schedule and will wait in the event of a delayed flight. Plus, the Port Authority also plays a role in the advertising, officially renaming the airport to New York Stewart International Airport to attract more people to the airport by conflating it to New York City. 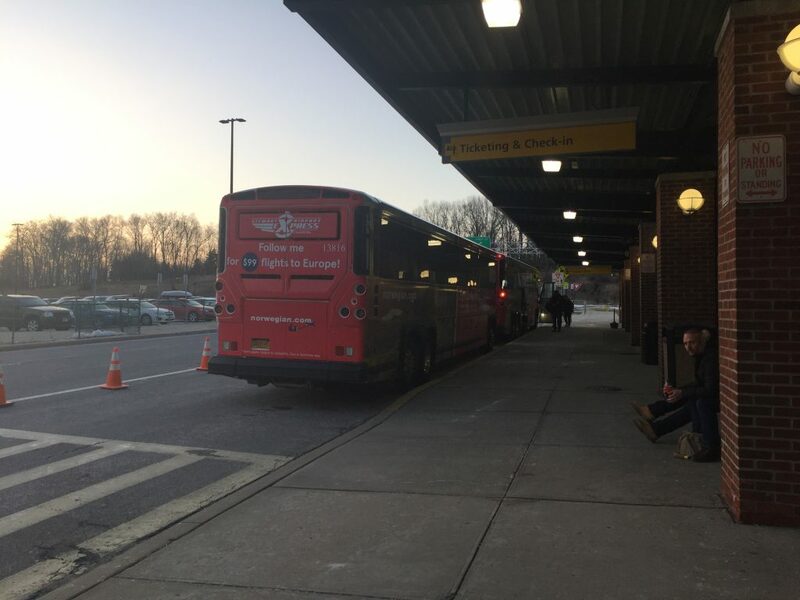 While most people in the tri-state area know how far Newburgh is from New York City, many foreign travelers may not, depending on the bus service to get them to New York City. But this is nothing new for low-cost carriers, as this is similar to Ryanair’s Paris strategy, where they serve Beauvais Airport, 53 miles north of Paris, and renamed the airport Paris-Beauvais Airport to give the impression that it’s near Paris. Similarly to Norwegian, Ryanair also operates a bus service to Paris to give travelers an inexpensive way to get to their intended destination. From Newburgh, passengers can fly to 5 cities in 3 countries: Dublin, Ireland; Shannon, Ireland; Belfast, Northern Ireland; Edinburgh, Scotland; and Bergen, Norway. Norwegian provides the bulk of its service to Newburgh, flying to all but one European destination, Cork. Starting in April, Newburgh will host NAI’s only twice daily route, affectionately called double daily service, to Dublin, the airline’s most popular route. Sitting at the top of the Narragansett Bay in Rhode Island’s capital, T.F. Green International Airport is the only international airport with commercial service in the state of Rhode Island. This small airport has always been in the shadow of the larger Logan International Airport in 50 miles north in Boston, where most of the region’s international service is located. Due to its close proximity, it’s classified as a reliever airport for Boston by the FAA. However, it has slowly come into its own the last few years. While also being the spoke in the hub-and-spoke model, the airport has attracted numerous international and low-cost carriers over the years, looking to take advantage of the airport’s low costs and proximity to Boston and Cape Cod. 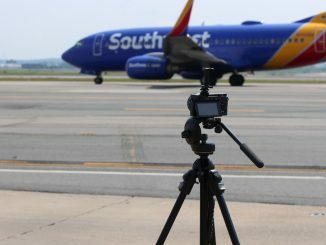 Airlines such as Frontier Airlines, Allegiant, and Southwest all have a significant presence at this airport, with Southwest formerly using the airport as its alternative to Boston before it started service to Logan. 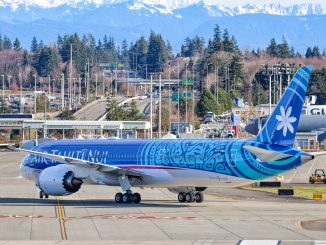 International airlines such as TACV and Condor providing service to Cape Verde and Frankfurt, respectively, have come and gone, leaving Norwegian and Azores Airlines are the sole international carriers until Air Canada’s arrival in May. While Providence may seem too southerly for Norwegian, in terms of attracting the greatest number of passengers where a city like Manchester, New Hampshire could attract more Northern New Englanders, it serves Eastern Connecticut to the West; Eastern Massachusetts (Including Boston), Southern New Hampshire and Southern Maine to the North; and Cape Cod, Nantucket and Martha’s Vineyard to the Southeast. While there is no Norwegian-focused bus service, there are options for Bostonians to get to the airport, including via bus and train. Also, due to the geography of the Long Island Sound region, the airport may also attract eastern Long Islanders who can access the airport via ferry boat to Connecticut and then drive to Providence. From Providence, NAI serves 5 cities in 2 countries: Dublin, Ireland; Shannon, Ireland; Cork, Ireland; Belfast, Northern Ireland; and Edinburgh, Scotland. 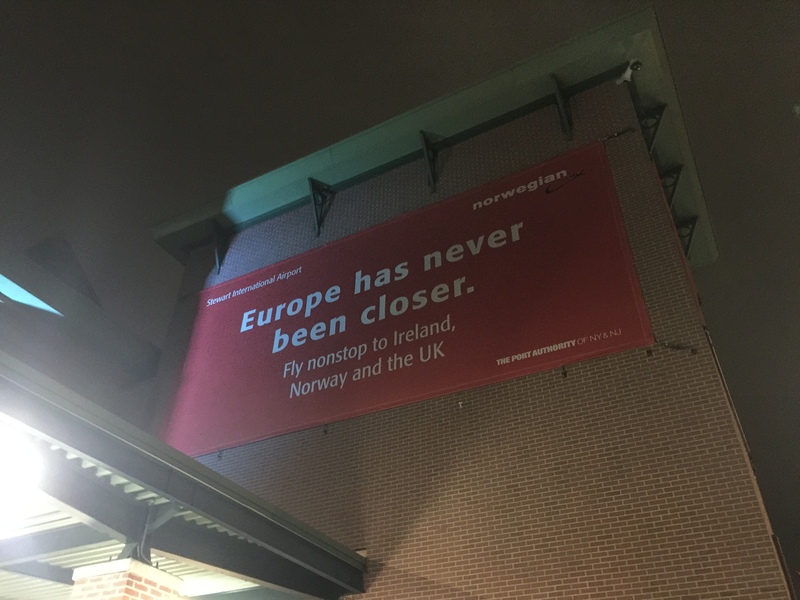 The only European destination that isn’t served from Providence is Bergen, Norway. Norwegian also serves its two Caribbean destinations, the French territories of Fort-de-France and Martinique, from Providence, but those are separate from the transatlantic service and are flown on a seasonal basis by European-based Boeing 737-800s. Bradley International Airport is the sole commercial airport for Hartford, Connecticut’s capital, sitting north of the city and just south of the Massachusetts border and the city of Springfield, Mass. Serving the Northern Connecticut and Southern Massachusetts region, Bradley has always been a successful airport in its own right and has served as an alternative to Boston or Providence for those in Massachusetts or Rhode Island. 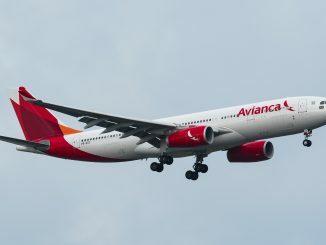 Currently, American provides transcontinental service to Los Angeles, JetBlue flies down to San Juan in the Caribbean, Delta operates a point-to-point flight to Cancun, Mexico, Air Canada serves its hubs in Montreal and Toronto, and Aer Lingus provides service to Dublin, its only link to the Emerald Isle. In terms of service, the airport does well. However, geography wasn’t in Bradley’s favor for Norwegian and it showed when the airport was only given one route. Bradley sits almost equidistant from Providence and Newburgh but was chosen because of its popularity and proven success with other airlines, and especially because the range limited Boeing 737 MAX 8 didn’t have many alternatives in New England. Norwegian also only gave Bradley one route, the only airport to receive only one route, and that was Hartford-Edinburgh. The connection between Hartford and Scotland was unique, as no other airline had ever operated a route like that. Strangely, Norwegian chose not to serve Dublin, one of its most popular destinations, from Hartford, most likely because it would be competing with Aer Lingus. 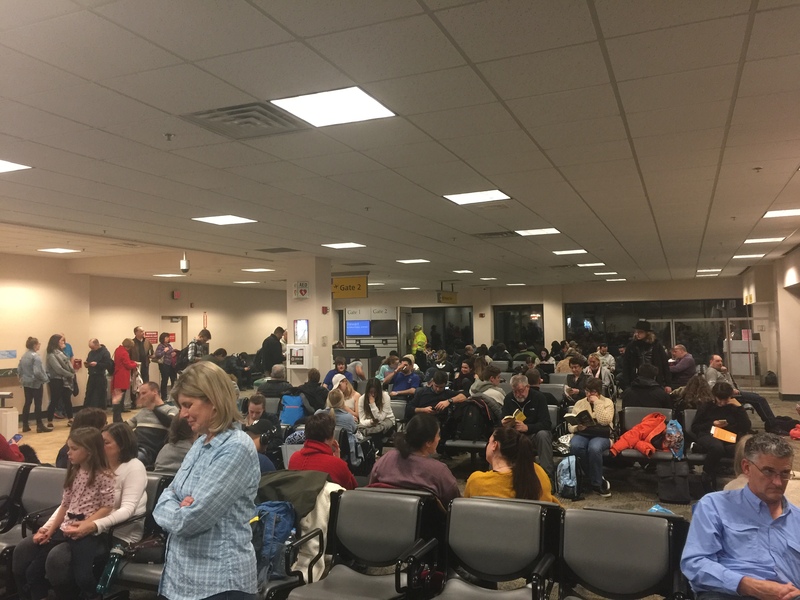 Passengers wishing to travel to Norwegian’s other destinations would have to go to Newburgh or Providence, almost defeating the purpose of serving the airport. While one route is better than zero routes, only service Edinburgh is extremely specific and risky, especially due to the lack of onward connections in Edinburgh on Norwegian. The one route strategy fell apart when Norwegian faced difficulties making the route profitable when the Scottish government refused to pass a measure to lower air travel taxes. However, it seemed that Norwegian was never too enthusiastic about Hartford since it is packing up and leaving the city altogether instead of trying different routes. The last flight for Norwegian in Hartford will be March 24. Traditionally, large widebody aircraft have been the preferred aircraft of choice for transatlantic travel. Aircraft such as the Boeing 777 and Airbus A330 are common sights in the skies of the North Atlantic between North America and Europe. 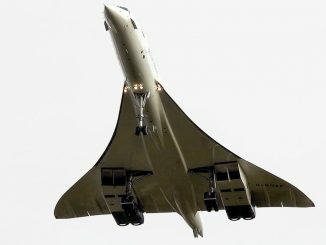 The reasoning behind using these aircraft are simple: they have the range to fly between any North American city and Europe without stopping and can carry a large number of passengers. However, while Norwegian’s long-haul division, Norwegian Long Haul, keeps in line with that model, operating the new Boeing 787 Dreamliner on their routes, Norwegian Air International went the exact opposite direction. For its transatlantic routes, NAI chose the Boeing 737 MAX 8, the newest single-aisle offering from Boeing. At first, this was a bit jarring to the aviation community, myself included. Personally, I’m used to seeing Boeing 737s operating medium-range flights for U.S. legacy carriers or crisscrossing Europe on short haul hops for Ryanair. I was always shocked when I saw some Copa Airlines flights exceeding 7 hours of flying time or the former PrivatAir service from Houston to Stavanger in a 737-700, no less. The use of the Boeing 737 MAX by Norwegian, however, was nothing I’ve ever seen before. Typically, when an airline operates the 737 on such a long route, it’s either an overland route in case of a fuel diversion, which is how Copa Airlines operates, or in an all-business class configuration, as PrivatAir did with Houston to Stavanger. Norwegian went for a high-density, all-economy configuration, which increases an aircraft’s weight. Norwegian’s routes were ambitious, the longest being from Newburgh, New York to Bergen, Norway at a range of 3,004 nautical miles direct with scheduled flying times at over 8 hours for some flights. The shortest flight being Providence, Rhode Island to Shannon, Ireland at a range of 2,580 nautical miles direct and around 6 hours scheduled flying time in the eastbound direction, the same times as a flight from New York to Los Angeles, comparatively. Interestingly enough, the flights aren’t even close to the top end of the MAX’s range. Norwegian’s Newburgh-Bergen flight is 546 nautical miles short of the MAX 8’s top range of 3,550 nautical miles, as published by Boeing. Although taking into account extra mileage due to flight plan routings, strong winds of the North Atlantic and the increased weight due to a high-density cabin, it might be a little closer to the limit. Norwegian also sometimes substitutes its Boeing 737-800 Next Generation for the MAX, as it did when service first started, when operational requirements dictate, either in the event of a canceled flight, unavailable plane or maintenance issue. The non-MAX 737 is capable of doing the routes, but the fuel costs are undoubtedly higher, and it may not be capable of performing flights at the further edge of the route network. However, the MAX won’t lead Norwegian Air International into the future, as the airline currently has an order for the Airbus A321LR, with a longer top range than the MAX 8 by nearly 500 nautical miles, allowing NAI to move further inland in North American and Europe, as Primera Air is planning to do in April with flights between New York, Boston, Washington and Toronto and Paris, Birmingham and London. According to Flight Global, eastern European cities and East Coast US cities are being considered for the A321LR, which the airline has 30 firm orders for. The A321LR gives Norwegian three things, range, capacity and fuel efficiency. For Boeing’s MAX aircraft, an increase in capacity is met with a decrease in range. Even Boeing’s longest ranged MAX, the MAX 7, falls 200 nautical miles short of the A321LR and has less capacity. At this point, however, the airline hasn’t announced any additional service to any of the airport’s it currently serves, save for the switch from the Hartford-Edinburgh flight to an additional Newburgh-Dublin flight. The first 8 Airbus A321LRs are expected to be delivered in 2019 and will be a departure from the airline’s all-Boeing fleet across all its divisions. As I mentioned before, I used to cringe when I heard that a 737 was performing routes more than 7 hours long. 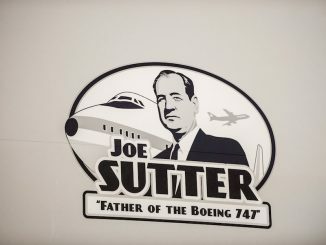 As a frequent 737 traveler myself, it was impossible for me to imagine flying in one for that long. The plane was simply not built for those types of flights, that was until the 737 MAX series debuted. For this reason, I was incredibly interested when I saw Norwegian starting flights with their Boeing 737 MAX 8 with the shortest flight being 6 hours long and all of them flying over the unforgiving North Atlantic Ocean. 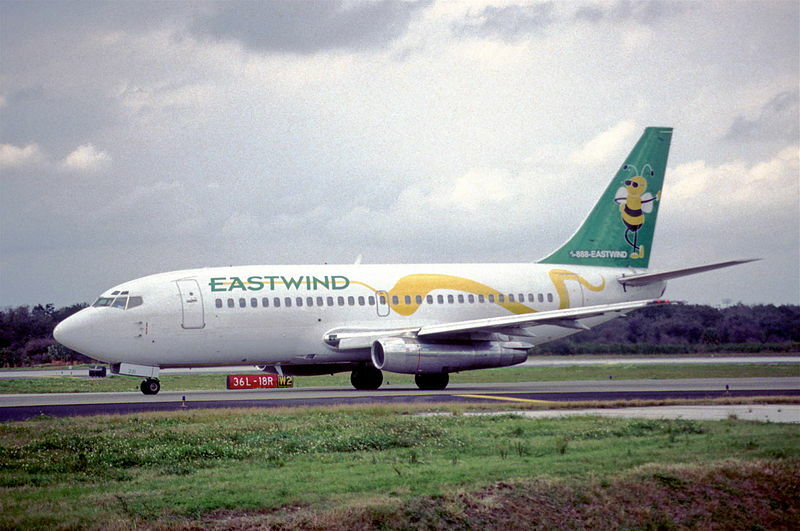 Plus, not only was it a 737, it was a 737 in a high density, low-cost configuration. However, with talk of Norwegian’s extremely low sale fares and family and friends asking whether the airline was trustworthy, I decided that I had to bite the bullet and try it for myself. For this trip, I decided to fly to Norwegian’s most popular route from Newburgh, New York to Dublin, Ireland. Out of all the routes in Norwegian’s route network, this is in the middle in terms of length and duration, meaning that I’d get the full experience. Typically, a roundtrip flight on this route costs around $250, if that. However, that’s for the basic fare. Since Norwegian’s 737s are in an all-economy configuration, only three fare options are sold: LowFare, LowFare+ and Flex. LowFare is the most basic fare, which what you when Norwegian advertises $100 flights to Europe. With this fare, you’re only entitled to one piece hand baggage, which is typically limited to a 10-kilogram carry-on, and WiFi, although none of the 737 MAX 8s have WiFi. Everything else, food, checked-bags, advanced seat assignments, are all extra. If you’re traveling light and don’t care where you sit, this is for you. LowFare+ is the compromise fare. With this fare, you get a free hand baggage allowance, checked bag (limited to 20 kilograms), free advanced seat assignment, meal, drinks and WiFi (where available). This is for those who want the low-cost, but also want the creature comforts of international air travel. Lastly, there is the Flex fare. Flex is short for flexible, obviously, so this fare includes everything that LowFare+ offers, plus an additional checked bag, free changes and free cancellation with a refund. It also includes FastTrack, although that isn’t available at most American airports and some European airports. Arriving at Newburgh’s Stewart International Airport, about a 2-hour drive from my house on Long Island and an hour from New York City, without traffic, I was excited and nervous. I’d heard nothing but good things about the service, but the thought of being on a 737 for 6 and a half hours really got to me. Especially because my last two flights on a 737 had been on American, which has the worst 737 economy product in the United States. Looking at the seat map the night before, I saw that the flight was sold out and every seat was taken greater than 24 hours prior to departure. Clearly, this was a popular route and why not, Dublin is a very popular destination and so is New York. With a seat assignment in hand, I arrived at the airport 2 hours before departure. Stewart is small, so I knew I wouldn’t have a long wait at security. Plus, the only other flight that night was to Edinburgh, Scotland, so I knew it wouldn’t be a busy night. The airport is conveniently located right off the Thruway, making finding the place very easy, and parking is only $10 per day, compared to $18 at JFK. The boarding area was ample but dated. No significant improvements were made with Norwegian’s arrival. The airline takes up the first 3 gates but has yet to put its own personal touch on the space. Generic boarding signs and placards are used and there is nothing indicating Norwegian’s presence besides a singular Norwegian sign next to the boarding door. Boarding started for the flight almost an hour before departure. There was no organized boarding process, as everybody joined the line at once. Boarding is a bit archaic, as mobile boarding passes aren’t accepted, and tickets are ripped to be scanned later. 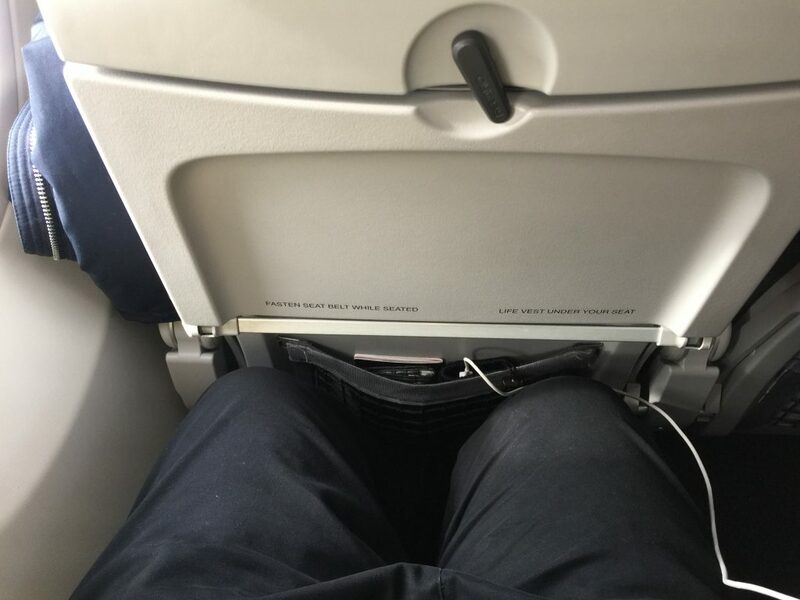 Once on the plane, I sat down in my seat in the exit row. This row features the greatest legroom on the plane and has moveable armrests with the tray table in the seat in front. I felt better already about the flight. 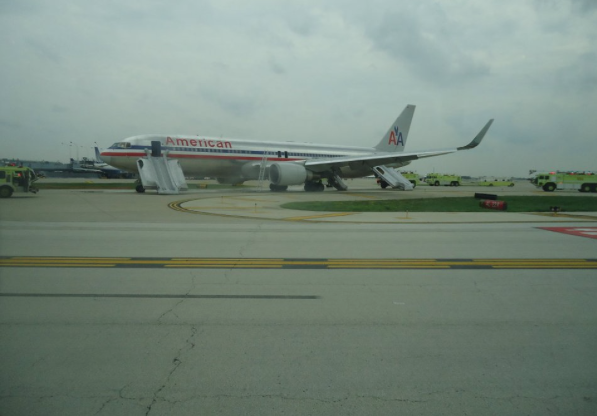 Once the engines spooled up and we taxied out, I wasn’t thinking about the daunting 6-hour and 30-minute flight. Rather, I was thinking about how quiet the cabin was. The engines on the MAX are truly quiet, even when sitting right next to them in the exit row. Once we reached cruise, the flight attendants started the service. While the service is exactly the same as on a Norwegian Long Haul flight, service on the MAX took considerably longer. It was 2 hours and 30 minutes into the flight before I received the meal. I’ll chock it up to new flight attendants. I was surprised to see drop-down screens throughout the cabin, as I thought there was no IFE, but they only showed Norwegian advertisements and cartoons. The in-flight service was exactly the same as Norwegian’s Long Haul brand, so I won’t get into specifics about that. 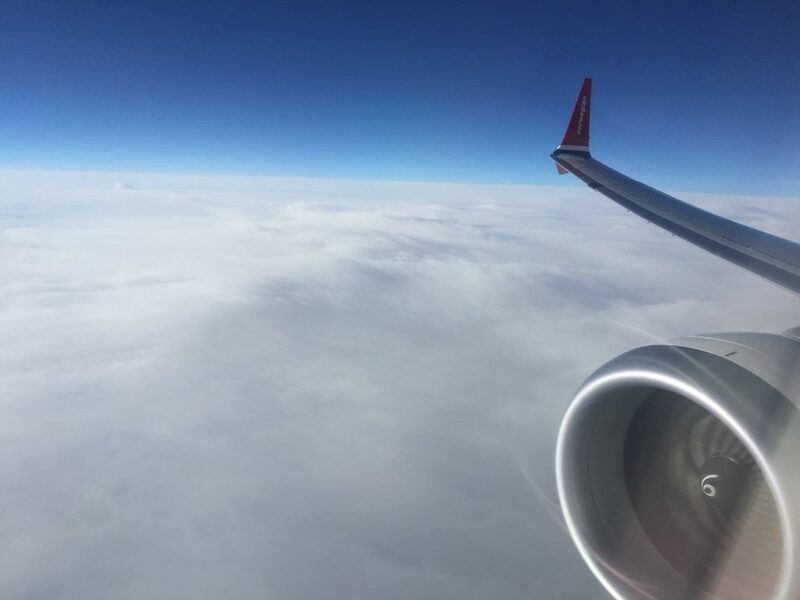 For that, you can read about my experience on Norwegian Long Haul. After the meal service, we only had 3 hours left to go thanks to winds. Taking a look around the dark cabin that was immersed in a blue hue from the Boeing Sky Interior lighting, I could tell that most of the passengers were vacationers or leisure travelers. The airline had reached its target market, for sure. 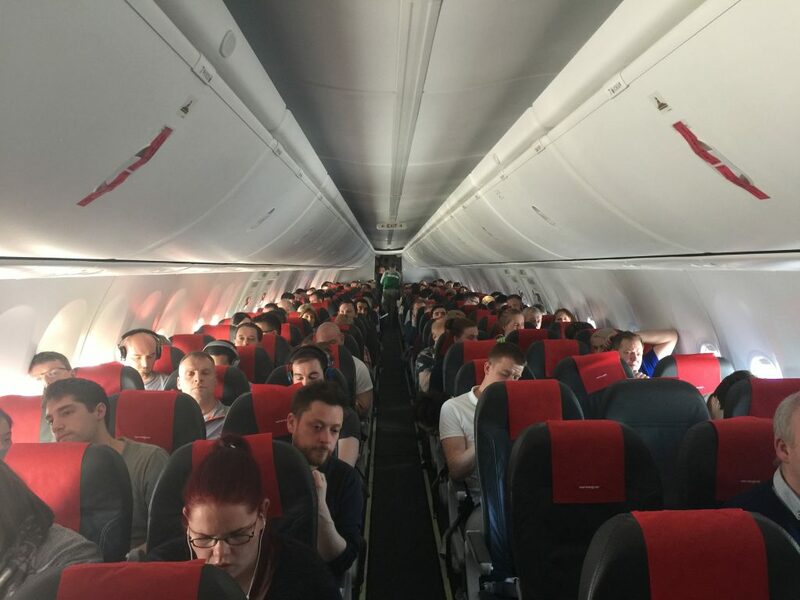 For these people, the flight was just a way to get to point B, and Norwegian was letting them do that cheaper than ever. As the sun rose, I was surprised at how quickly the flight was progressing. As we flew over the west coast of Ireland, I felt foolish for thinking that a flight in a 737 would be any different just because it’s a bit longer or over an ocean. 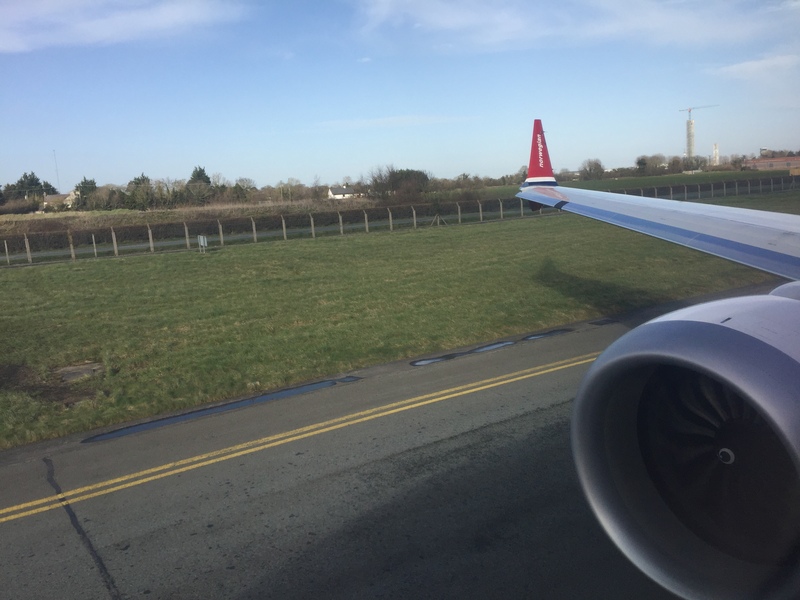 Landing in Dublin, we quickly taxied to the gate and before I knew it, the flight was over. I overheard passengers that seemed content with the flight and very little complaints. They hadn’t overthought it as I did. Overall, it was a good flight. However, the real test would be flying home, which was a 7-hour flight and I was not going to be in an exit row. Arriving at Dublin International Airport at the appointed hour for my flight, I was one of the last passengers to check in for the flight back to Newburgh. Again, this flight would be nearly full, although my carry-on didn’t need to be checked. Checking the departure boards, seeing Newburgh was very peculiar, but this is a brave new world and Newburgh is now an international destination. Sitting in the gate area for the flight, I was able to get a look at the passengers flying on Norwegian. Similarly to the flight to Dublin, I mainly saw leisure travelers, families, tourists visiting America for the first time, among others. Once boarding commenced, it was a similar experience to Newburgh, with no established procedure. However, I was able to use my mobile boarding pass. Walking to the plane, it was intimating as we were next to an Aer Lingus A330, also going to New York State. Arriving at my seat, my first thought was “this is tight.” The seat pitch on NAI’s Boeing 737 MAX 8s are 29 inches, which is at the low end of the spectrum. However, sitting down in it, it was surprisingly comfortable with ample room. Even with somebody sitting next to me, I felt comfortable. Strapping in for the long flight ahead, I was more comfortable about the prospect of the flight now that I was sitting in the seat. 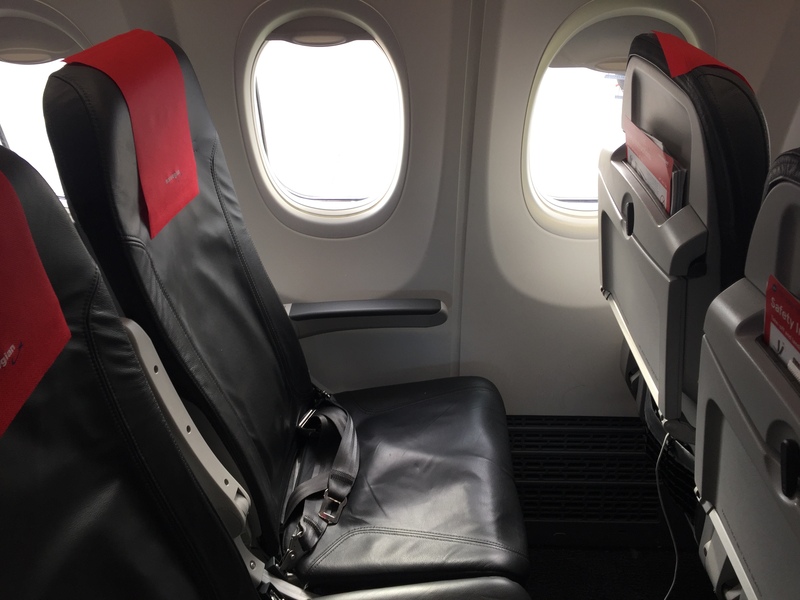 Plus, the seat had a decent recline, which helped a lot. It was starting to look like this was going to be a routine flight. Before takeoff, I spoke to the person next to me, who was from Ireland but lived in Newburgh. She said the flight was a lifeline for her because it allowed to go back and forth to Ireland multiple times throughout the year and the prices were fantastic for her. I could tell she was a veteran Norwegian traveler as she brought her own food and drinks and had pre-downloaded entertainment ready to go. After takeoff, the mixed European and American cabin crew immediately started the meal service. It took a half hour to receive a meal versus the 2 hours and 30 minutes on the flight out to Dublin. 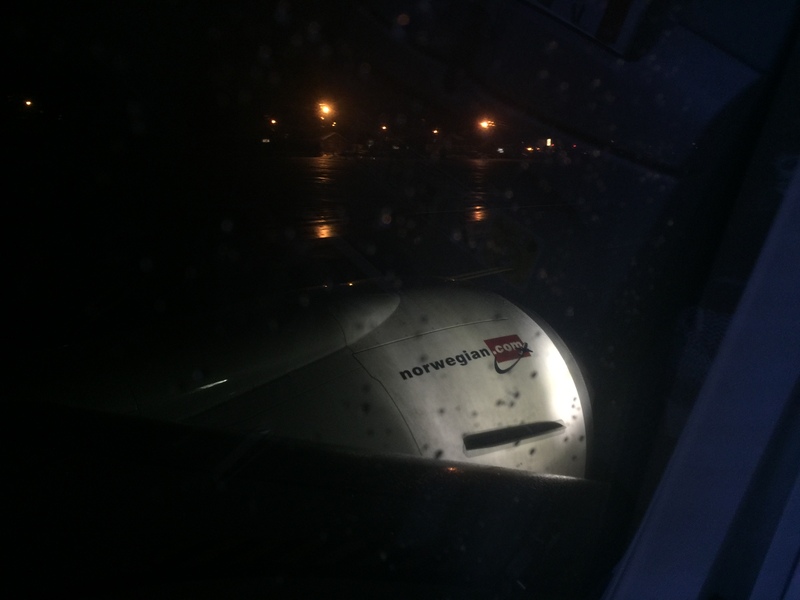 The crew was friendly and efficient, which is part of how Norwegian is able to make up for its low-cost aspect. Plus, the food was very tasty. However, for those not opting to purchase a meal, I recommend bringing a decent amount of snacks as you’ll no doubt get hungry. After the meal service, I did some work on my computer, which was very tight because the person in front of me reclined his seat. Even with my small laptop, it was difficult to use but manageable. Sometime into the flight, the captain informed us that we only had 4 hours left to go. Feeling good about the flight so far, I was overjoyed. I couldn’t believe how quickly three hours had passed. At this point, my fears of flying across the pond in a 737 were completely gone and I spend the next few hours listening to podcasts and staring out of the window and occasionally dozing off. This flight was nothing, I’ve had plenty flights worse than this one by far. Normally I get antsy or fidgeting, but I was actually enjoying myself on this flight. The last hour, however, I did get a little restless, although I’m not sure if it was because of the plane or because 7 hours is a long time to be in the same place regardless of the aircraft type. Then, over Albany, we started our descent into Newburgh. Landing 30 minutes later, I was curbside within 10 minutes of touching down. As U.S. Customs and Immigration checks were performed in Dublin, we were free to go when we landed. After flying roundtrip from Newburgh to Dublin, I can safely say that I overreacted about the thought of flying transatlantic in a 737. When it comes down to it, the type of aircraft doesn’t matter. I enjoyed both flights and even enjoyed sitting in the normal seat better than the exit row because they had more structure than the exit row, which helps with sleep and comfort. With more airlines like Air Canada and WestJet starting transatlantic service with their MAXs, it will soon be a common occurrence. While the Boeing 737 MAXs or A321LRs will never overtake the legends of the North Atlantic like the 747, 777 or A330, they will serve a way for budget holidaymakers to see more of the world and connect two continents with a shared history and long-standing ties. The best part of the flights was when I saw how excited people were to go to Ireland or America for the first time or be able to visit family and friends overseas. It’s the human factor that makes this service great and I applaud Norwegian for allowing people to travel who normally would not have the opportunity to. Those kinds of travelers don’t care whether they’re on a 737 or A380, its all the same to them. And if you’re skeptical about flying 7 hours in a 737, don’t be, it really is an enjoyable experience, especially for the price, and the final destination is more than worth it.